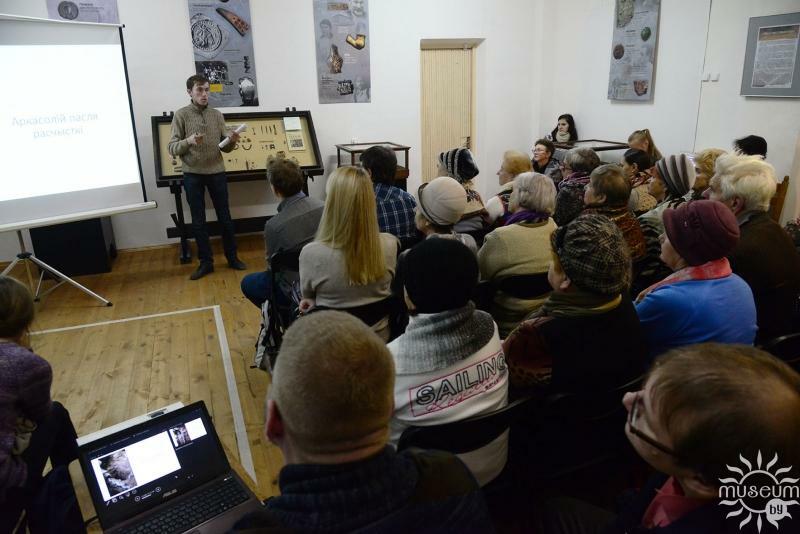 Lecture Alexei Leonidovich Kotz "Secrets of the Spassky Monastery: findings and discoveries of the field season in 2018"
On the 23rd of November 2018 the Museum of Local Lore of Polotsk hosted a lecture by the Master of Historical Sciences, lecturer at the Department of History and Tourism of Polotsk State University Alexei Leonidovich Kots "Secrets of the Spassky Monastery: findings and discoveries of the field season in 2018"
The exhibition “Through time and space”, dedicated to the 90th anniversary of the beginning of the archaeological study of the city of Polotsk, became an excellent platform for discussing contemporary research on the territory of the St. Ephrosinia the Savior Orthodox Nunnery. As part of the lecture Alexei Leonidovich not only shared the results of recent studies, but also showed how consistent study of the architectural monument allows us to learn a lot about the Savior Transfiguration Church, about the monastery itself and of course about the identity of St. Ephrosinia of Polotsk. Archaeological research is also a unique find, which the Polotsk archaeologist did not miss the opportunity to tell. The topic touched upon by A.L. Kotz, relevant and in demand by the public, as evidenced by the full house in the hall and a lot of questions from the audience to which the lecturer gave exhaustive answers. 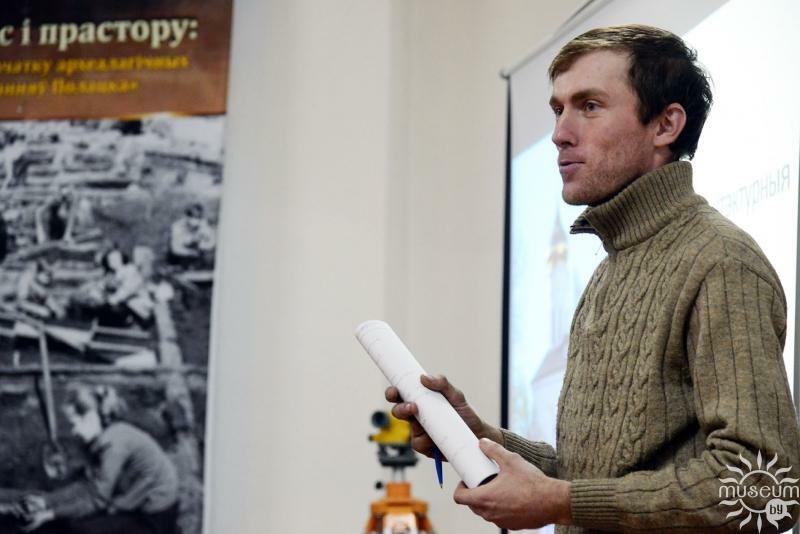 At the end of the meeting Aleksey Leonidovich received a memorable gift from the Museum-Reserve as a pledge of developing cooperation.